DO YOU FEEL STUCK IN YOUR RELATIONSHIP, EXPERIENCE RELATIONSHIP PROBLEMS? Do you face relationship problems, a difficult transition in your relationship, feel disconnected, deal with infidelity, poor communication, lack intimacy, or are you going through a divorce? I help individuals, couples, and families to develop some new skills and new ways to communicate and grow to create more satisfying relationships. I believe each person is unique and I focus on the particular circumstances presented by each person. I will actively work towards understanding your perspective, values, feelings and goals and I will work collaboratively with you to tailor treatment according to your needs. My approach to therapy is systematic with psychodynamic, cognitive-behavioral and emotionally focused based elements. I provide Individual Therapy, Premarital Counseling, Couples Therapy, Discernment Counseling, Divorce Therapy, Divorce Mediation and Coaching in downtown Chicago. I am a Marriage and Family Therapist, Divorce Mediator, Professional Coach and Author of How To Communicate And Co-Parent With Your Ex-Partner After A Divorce in the new book Stress-Free Divorce Volume 3. I write on topics of relationship and divorce and have been a guest speaker on podcast and radio programs. I graduated from Northeastern Illinois University with a Master’s Degree in Marriage and Family Therapy and completed Divorce Mediation Training at Northwestern University. I worked under the supervision of Dr. Schwarzbaum who is a former professor and expert in working with couples. In addition to that, I have 5 years of experience treating adults, children and families from diverse backgrounds. My area of experience includes treating anxiety, depression, trauma, post-traumatic stress disorder (PTSD), relationship challenges, and adjustment difficulties. I continue to educate myself in this field by attending workshops and trainings related not only to couples, but in general to counseling. 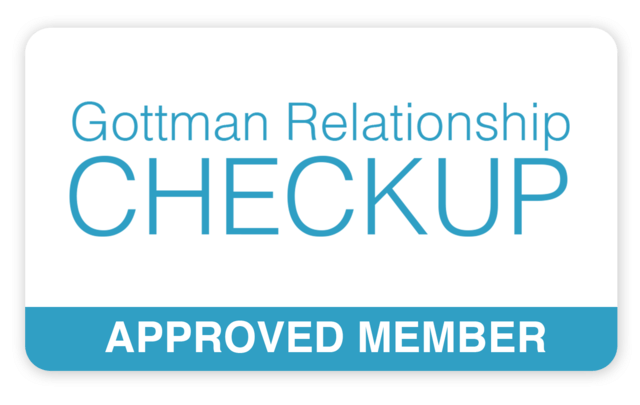 I have completed Level 3 Clinical Training in Gottman Method Couples Therapy and use Gottman Method in my work with couples. The Gottman Method Couples Therapy is based on Dr. John Gottman’s research that began in the 1970s and continues to this day. The research has focused on what makes relationships succeed or fail. From this research, Drs. John and Julie Gottman have created a method of therapy that emphasizes a nuts-and-bolts approach to improving clients’ relationships. This method is designed to help teach specific tools to deepen friendship and intimacy in your relationship. To help you productively manage conflicts, you will be given methods to manage resolvable conflicts and dialogue about gridlock issues. We will also work together to help you appreciate your relationship’s strengths and to gently navigate through its vulnerabilities. I believe that although each individual is unique, everyone has the ability to change, heal and move forward. My aim is to provide a warm, safe and accepting environment in which clients can better understand and manage their emotions. Therapy can help you to feel better and have a better relationships. My standard fee is $145 for a 50- minute Individual Therapy session or Professional Coaching session. $165 for an 55 – minute session of Couples Therapy, Premarital Counseling and Divorce Therapy. $400 for 2-hour session of Discernment Counseling. $250 for an hour of Divorce Mediation. Payment is due at the time of the service. Cash or credit card only. After many years of being married, couples sometimes feel disconnected, don’t communicate well, argue because of every small thing, lack intimacy, or deal with infidelity. If you don’t take care of your relationship, it will become rusty and needs some fixing. This is the best time to seek Couples Therapy. What is Divorce Therapy / Counseling? Who should attend Divorce Therapy? You can improve your communication, learn new skills and ways to communicate better. You can learn how to resolve your conflicts, reconnect again and improve your intimacy. You can recover and move forward after an affair. You can better understand your needs and your partner needs in order to have more satisfying relationship. Keep in mind that 80% of therapists in private practice work with couples, but only handful have the appropriate training and experience. So when it comes to professional help, be sure to choose a specialist. The longer you wait to invest in your relationship, the more expensive the repairs may be later. This is very individual and depends on the couples. I do not have a one size fits all approach. We will work together, so your relationship can move forward. The initial session lasts an hour and every session thereafter is 50 minutes long. Unfortunately, sometimes it is not possible to save a marriage. After many sessions and no progress, couples might mutually agree to proceed with divorce. Couples may choose to start Divorce Therapy. Divorce Therapy may help couples to better achieve the dissolution of their marriage in a more healthy way, especially when they have children. You will learn how to communicate better and co-parent with your ex partner. Divorce Therapy may help you with the transition from married life to single life. Divorce Therapy could be attended by just one person and eventually joined by the other ex partner and their children. It is very individual and it depends on the couple and how they would like to proceed. If you feel stressed, depressed, sad, unhappy, lost and can’t handle your situation on your own, it would be beneficial to seek an Individual Therapy. Individual therapy can help you to develop new perspectives and life skills, so you can free yourself from negative patterns pf self-criticism, depression and anxiety. You can learn to take responsibility and move forward in your life rather than feeling stuck, hopeless and helpless. You can improve the quality of your relationships by developing more life affirming behaviors. Individual Therapy can also make you feel more at peace and better about yourself. It can help you to feel more connected with people in your life and understand your loved ones better. It can help you to learn new behaviors and responses which may help you achieve your goals. You can also learn to understand your own thoughts, feelings and responses. Discernment Counseling is for couples who are considering divorce, but are not completely sure if it’s the right path for them. They would like to take one more look before making a permanent decision with long term consequences. Discernment Counseling differs from regular Couples Therapy in three ways: 1) the goal is not to solve problems in the relationship, but to figure out whether the problems can be solved. 2) the process involves mainly individual conversations with each partner, since they have different needs 3) it is short term. Discernment Counseling is short term and it involves a maximum of five counseling sessions. The first session is usually two hours long. The counselor helps couples decide whether to try to restore their marriage, move towards divorce, or take a time out and decide later. Discernment Counseling is considered successful when couples have clarity and confidence in their decision. Discernment Counseling is NOT suitable for couples with domestic violence situations and when one spouse has made a final decision to divorce and wants counseling to encourage the other spouse accept that decision. Premarital Counseling is a type of therapy that helps couples prepare for marriage. Premarital Counseling can help you and your partner have a strong and healthy relationship. Premarital Counseling will help to build solid relationship, strengthen effective communication skills, manage conflict and create rituals. You will be able to ask your partner questions before you say ” I do”. Sessions will cover relationship stages, communication issues, financial management, role responsibility, fair fighting techniques and maintaining physical affection and sexuality. The focus of coaching is development and implementation of strategies to reach client – identified goals of enhanced performance and personal satisfaction. Coaching may address specific personal projects, life balance, job performance and satisfaction. Coaching utilizes personal strategic planning, values clarification, brainstorming and motivational counseling. It aims to motivate and create your own happiness. Professional coaching and therapy share certain traits and aims, however, coaching will focus on moving forward and creating your new path in life where as therapy will primary focus on mental health diagnoses, alleviating symptoms, changing dysfunctional behavior and developing new strategies for successfully coping with the psychological challenges. You can benefit from coaching by gaining clarity in your life, improving your confidence, overcoming obstacles and creating your own plan to reach your goals and your potential. Copyright © 2017 TherapywithKaterinafager – All Rights Reserved.